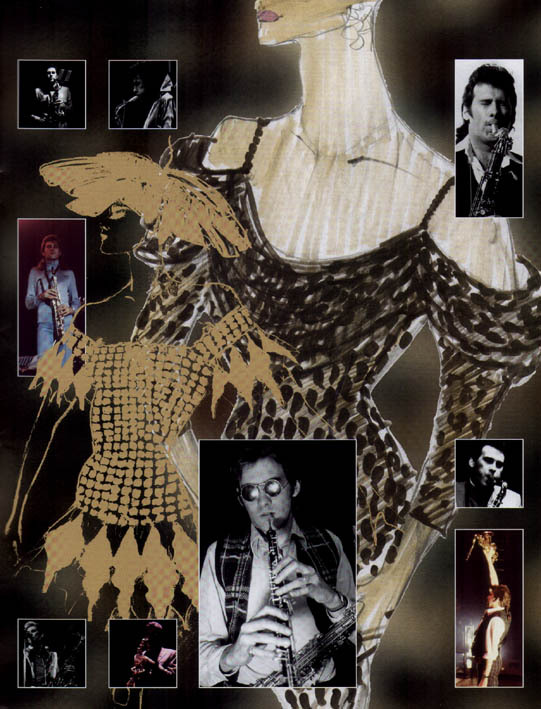 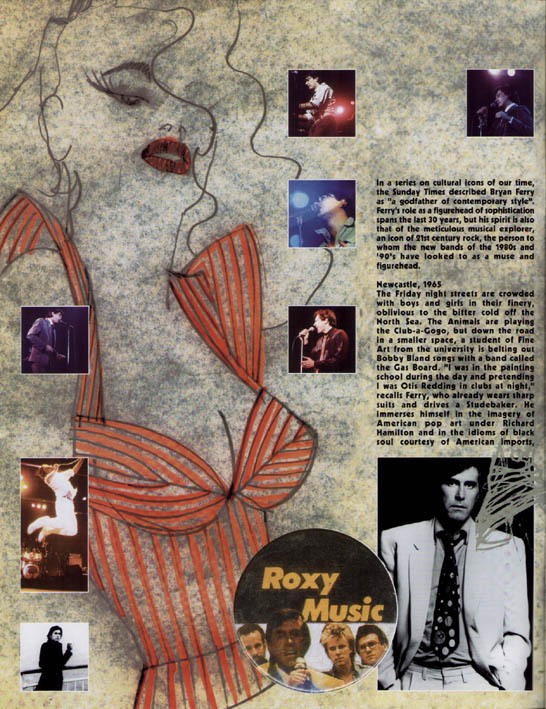 After 18 years apart, Roxy Music returned to the stage for a re-union tour in 2001. 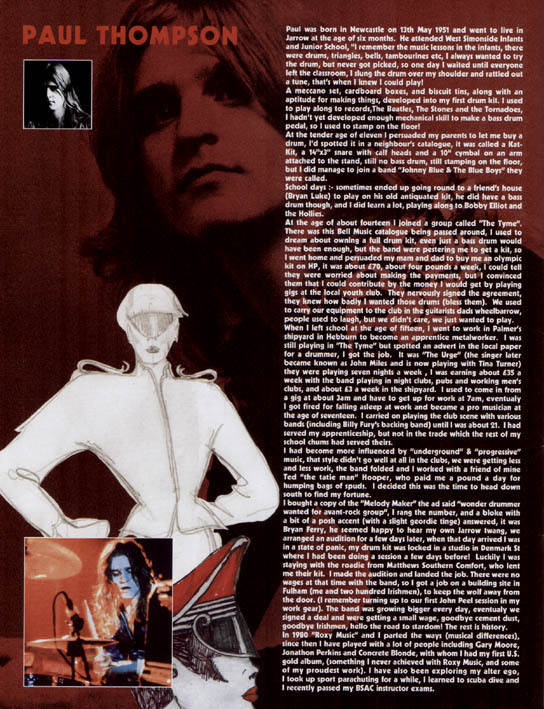 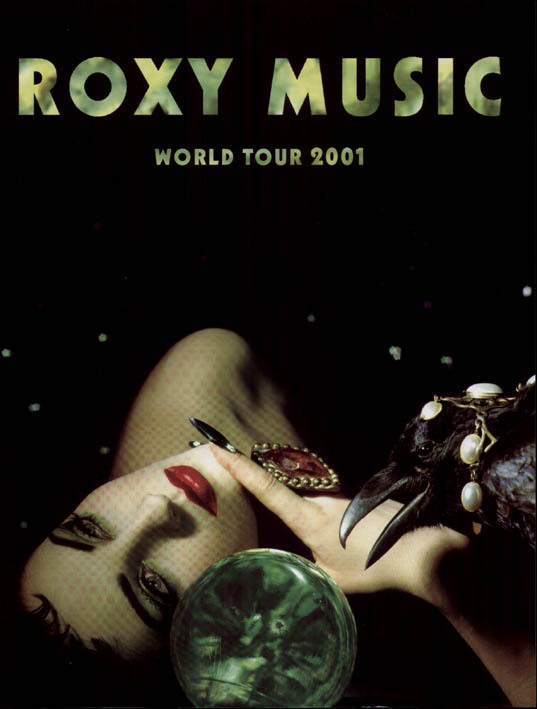 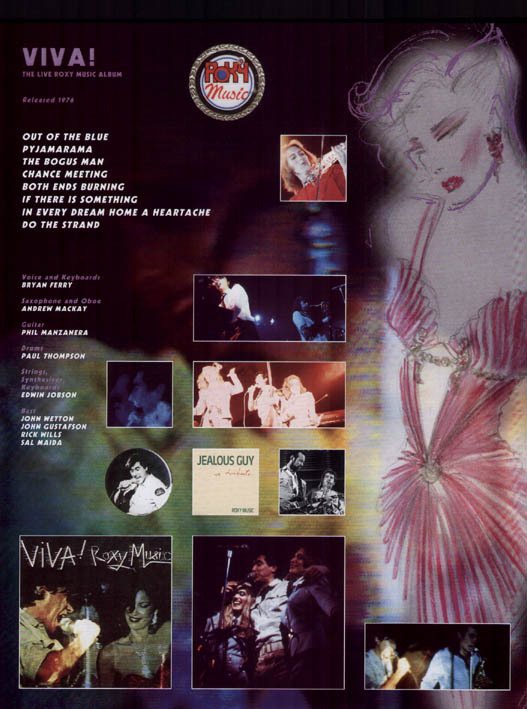 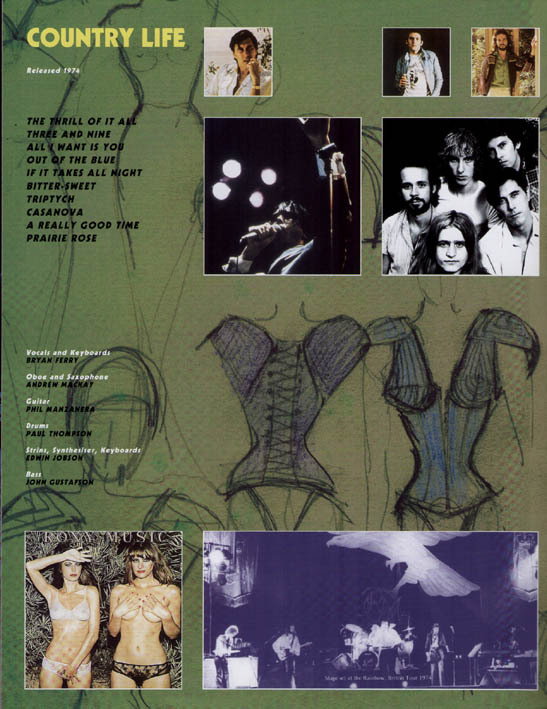 The tour kicked off in Dublin 9th June 2001 the same day that a Top Of The Pops special recorded a few weeks earlier with the new Roxy Music line up was broadcast on UK TV. 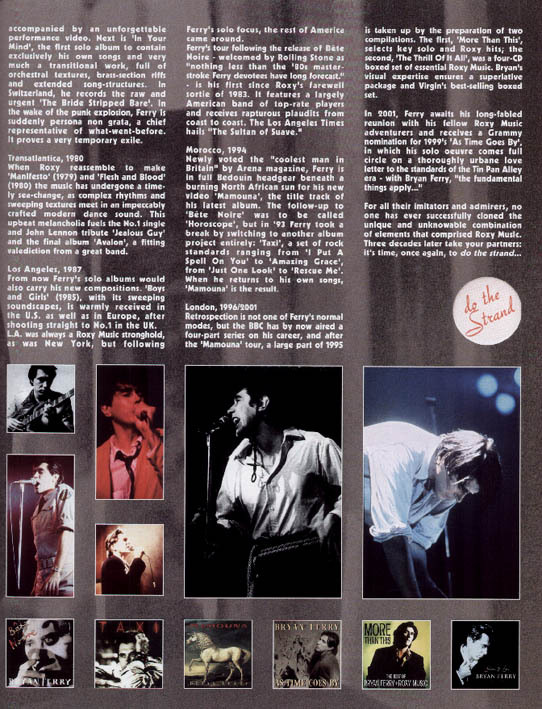 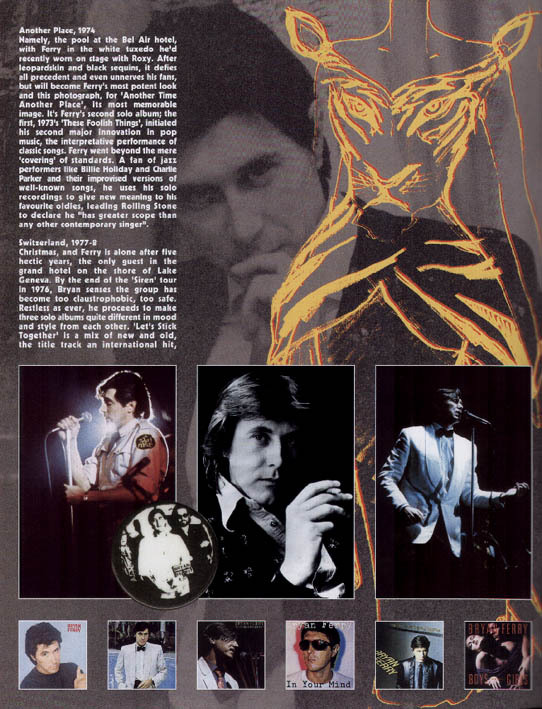 The tour was a massive success and featured favourable reviews in the press. 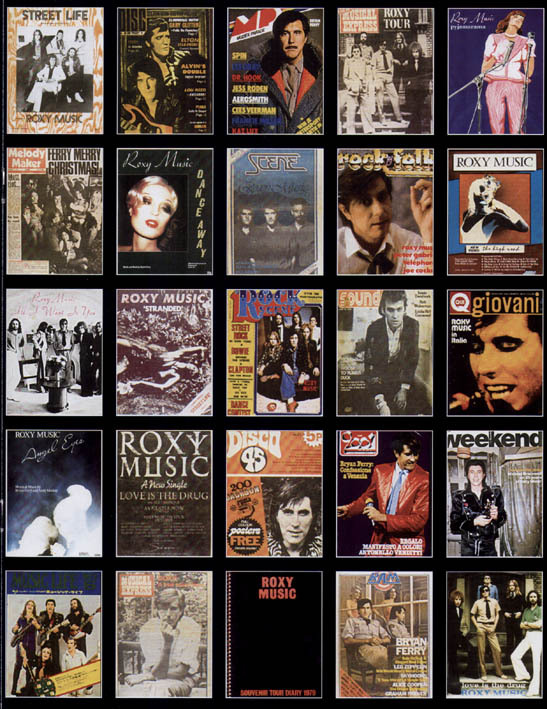 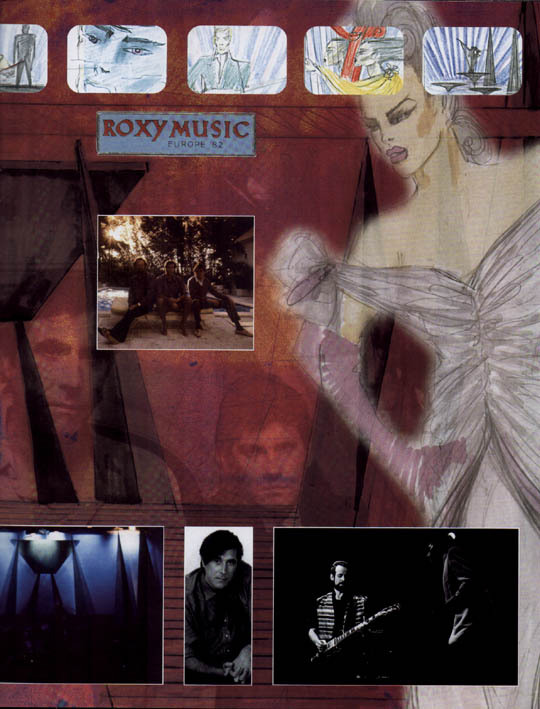 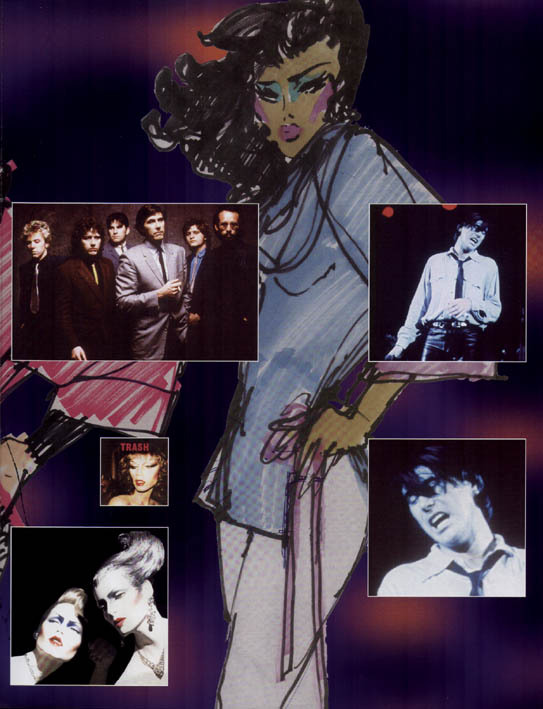 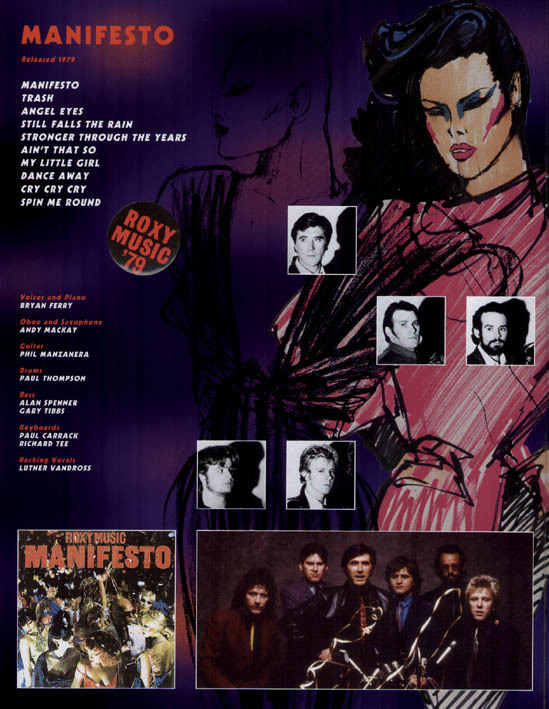 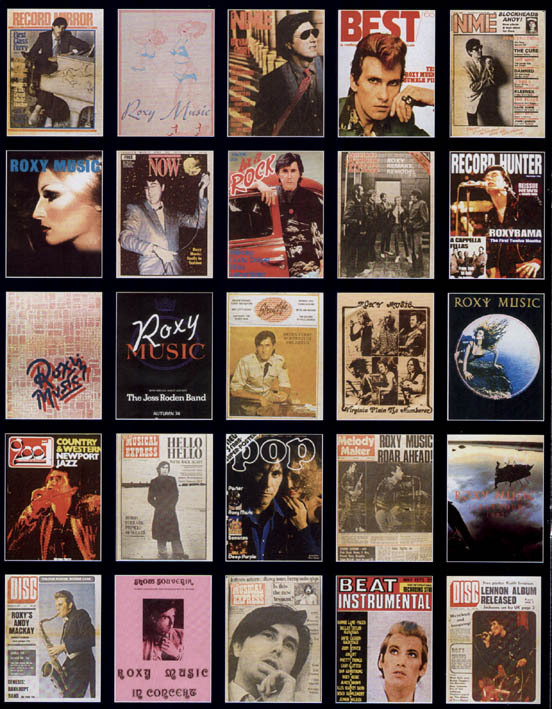 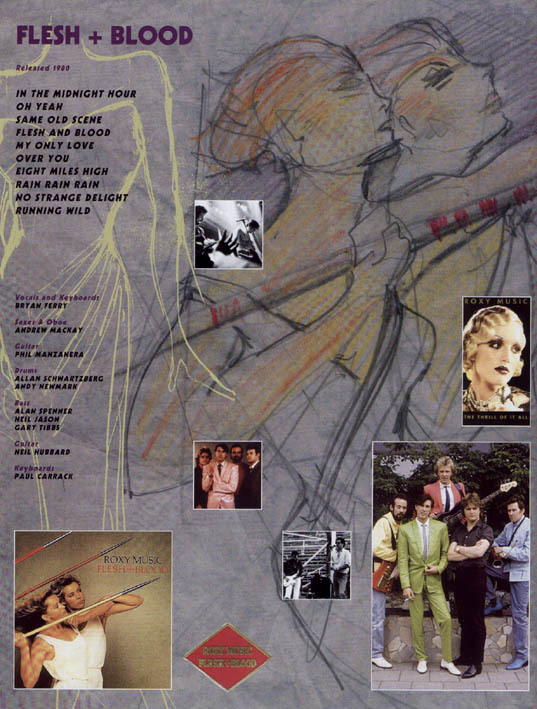 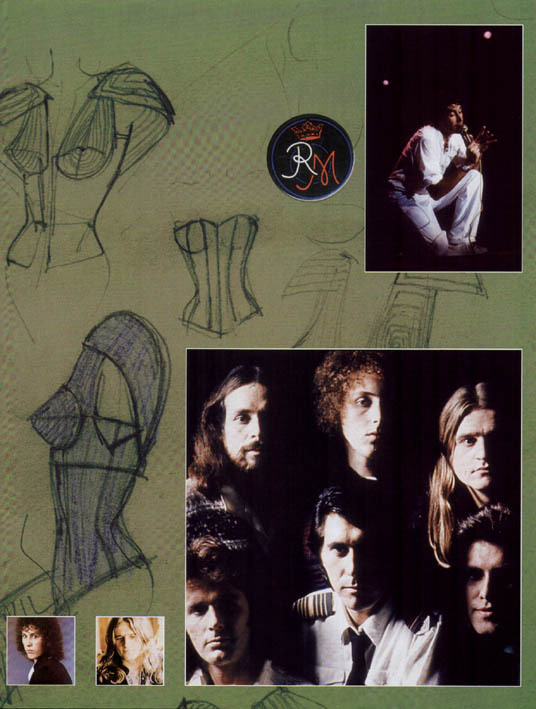 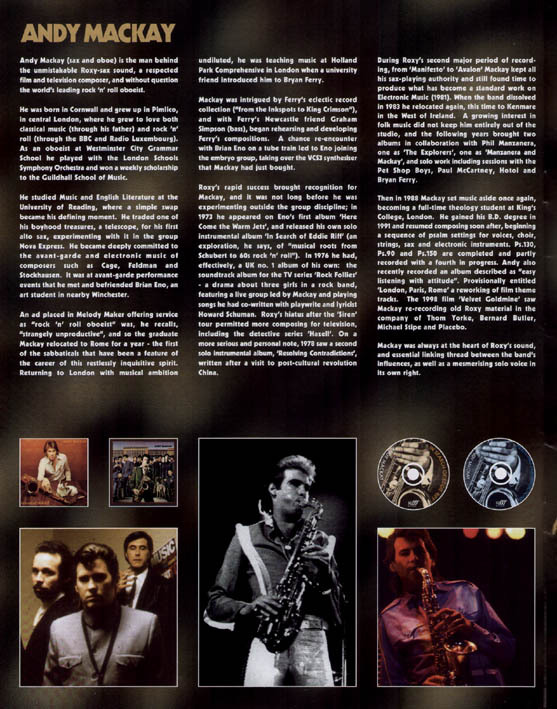 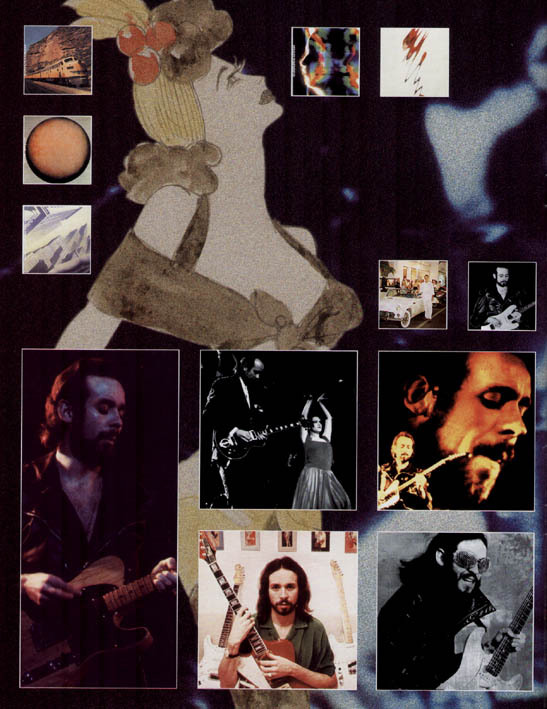 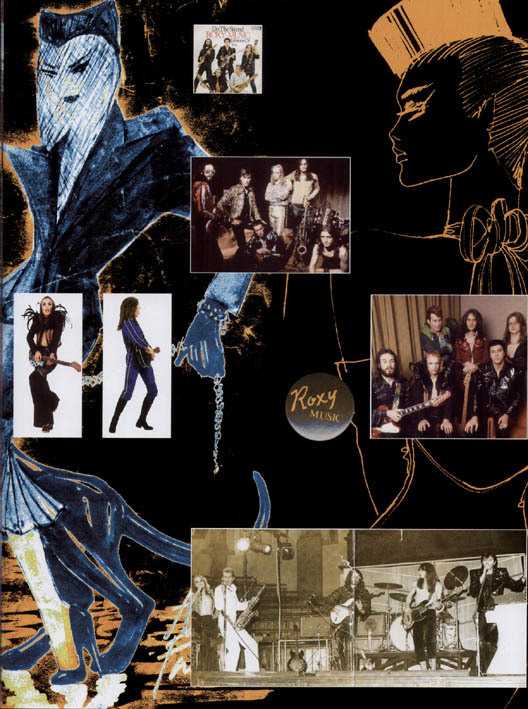 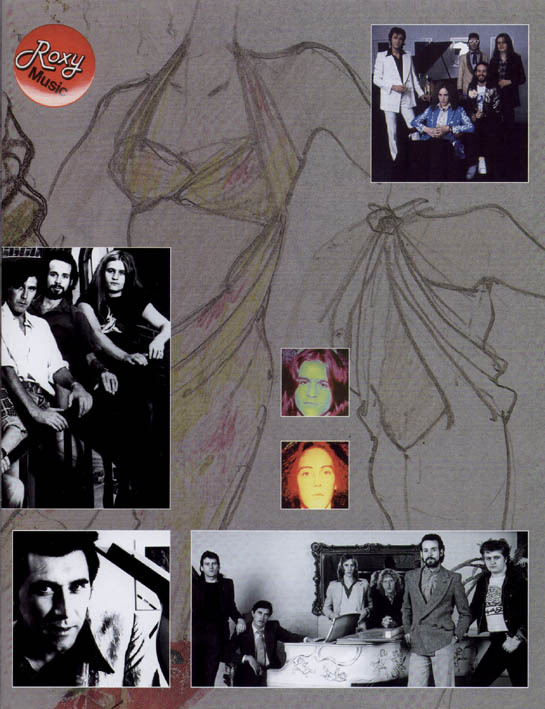 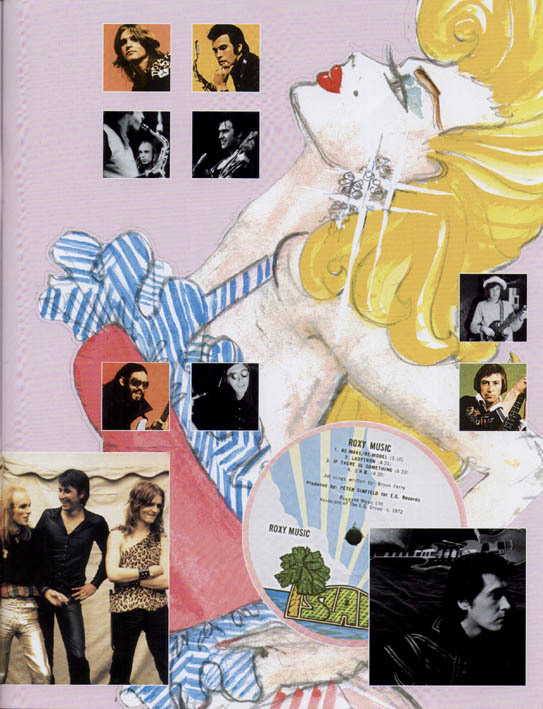 Bryan Ferry, Phil Manzanera & Andy MacKay were the only members of Roxy Music to feature on all 8 Roxy Music studio albums through their ten year history. 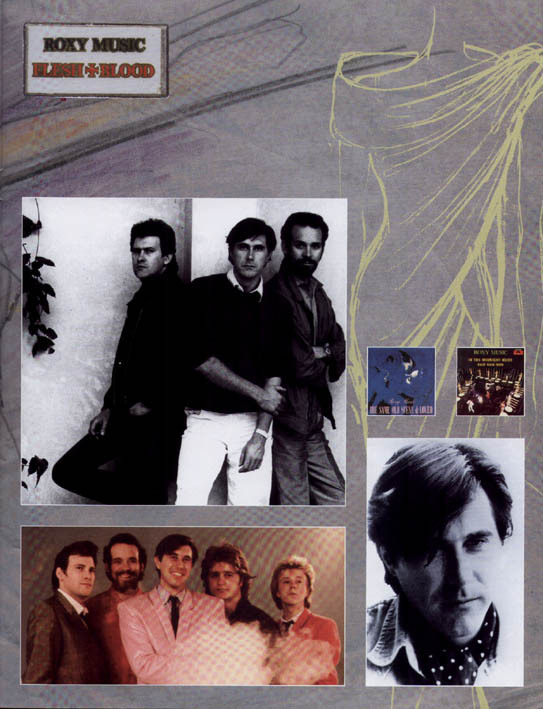 This tour re-united Bryan, Phil & Andy with the original drummer Paul Thompson who was given a rapturous applause at each show when Bryan introduced the band members. 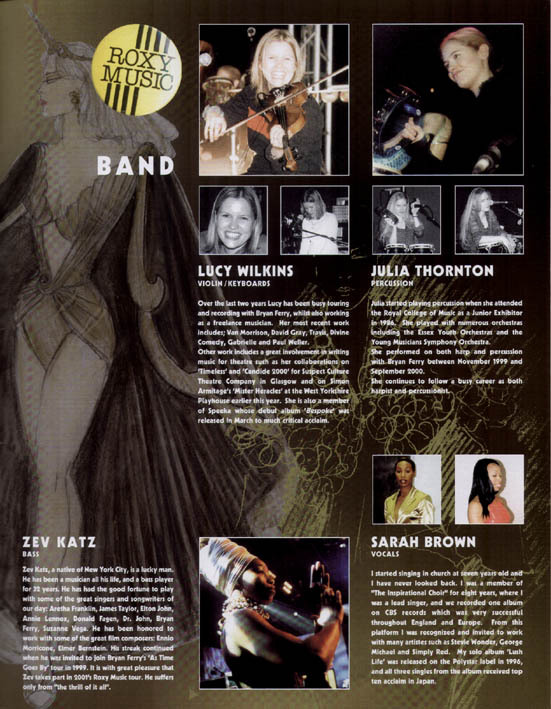 Other members were Zev Katz (bass), Lucy Wilkins (violin & keyboards), Julia Thornton (percussion & keyboards), Colin Good (piano & musical director) all who played with Bryan Ferry on his 'As Time Goes By' tour the previous year. 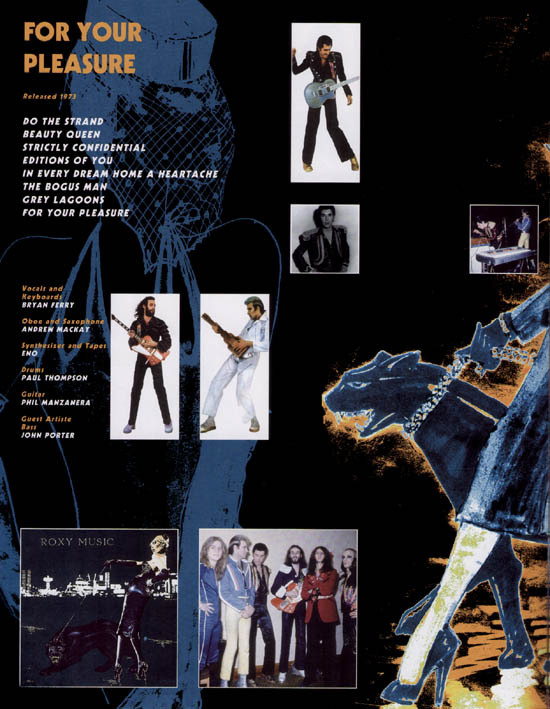 Top session guitarist Chris Spedding who worked with Bryan on his Let's Stick Together & In Your Mind albums as well as his 1977 tour was re-united with Bryan as second guitarist on this tour. 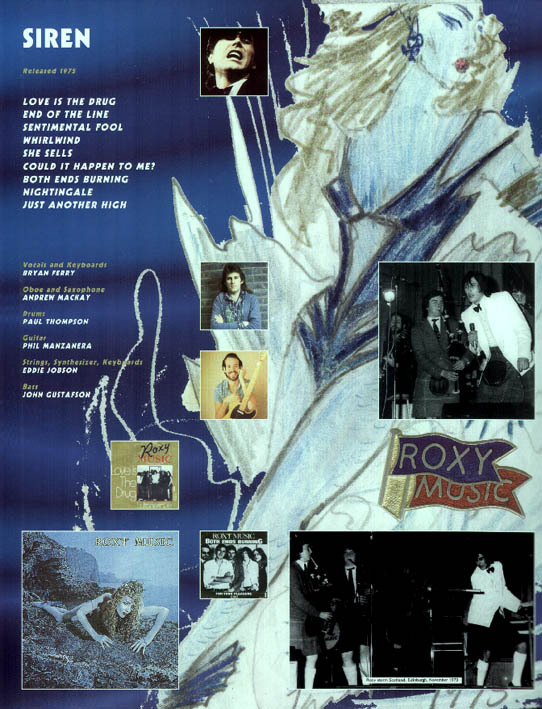 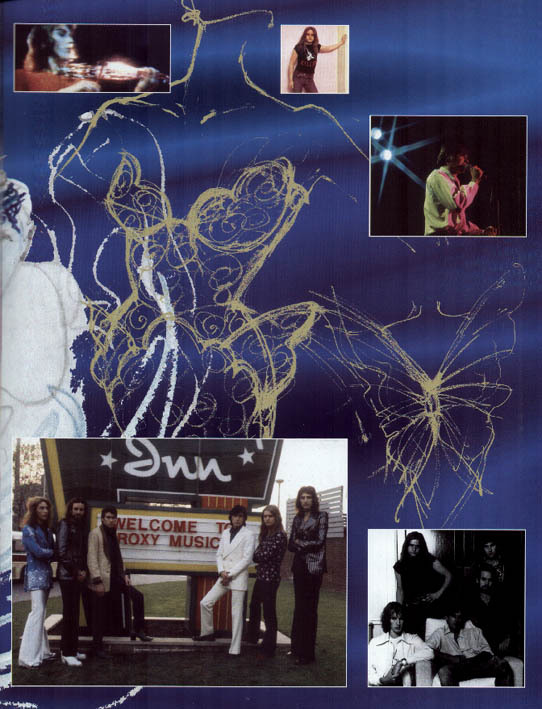 New face to the Roxy fans was Sarah Brown who through Bryan's friend and collaborator on Bete Noire, Paul Johnson (The Brothers Johnson) found herself as backing vocalist for the tour. 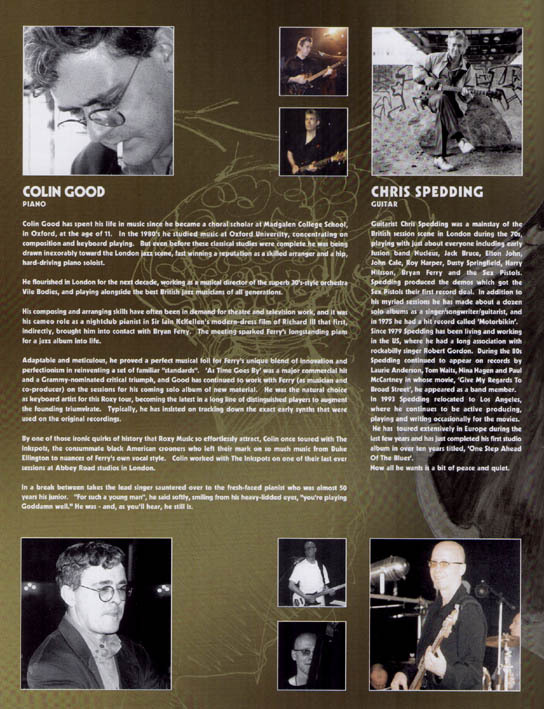 The band remained the same throughout with the exception of the backing vocalist. 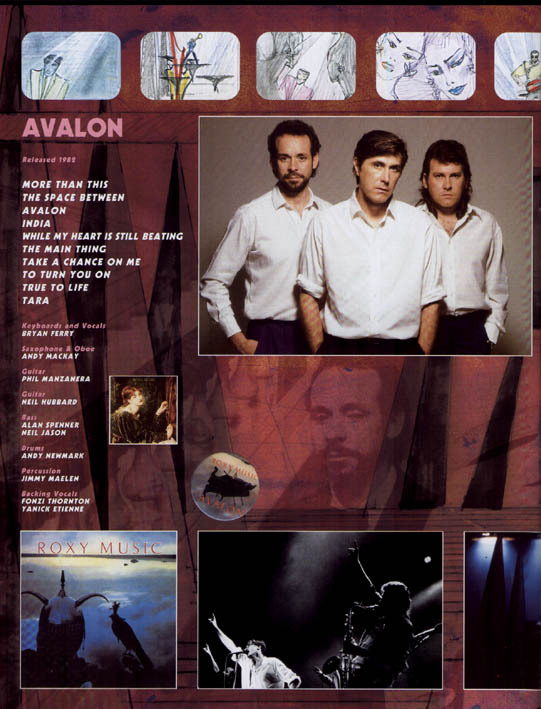 Yanick Etienne, the original voice of Avalon, joined the band in New York for a performance of 'Avalon' and remained on stage for some other numbers. 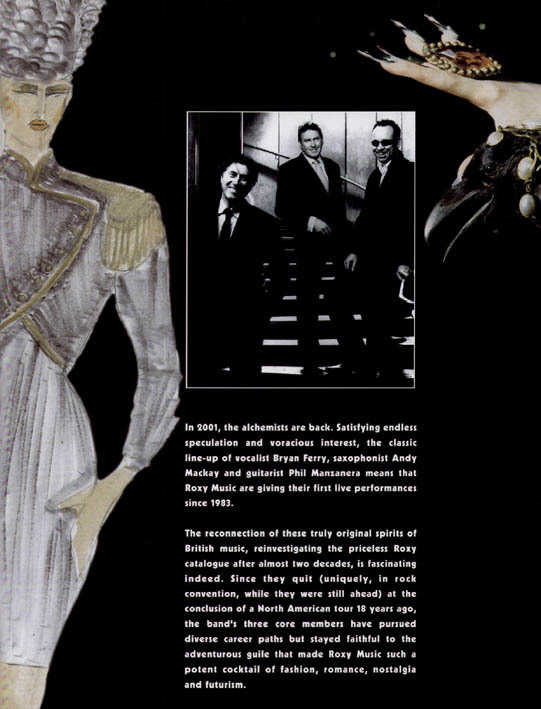 She was in the band for the rest of the American leg of the tour and also the last 10 shows. 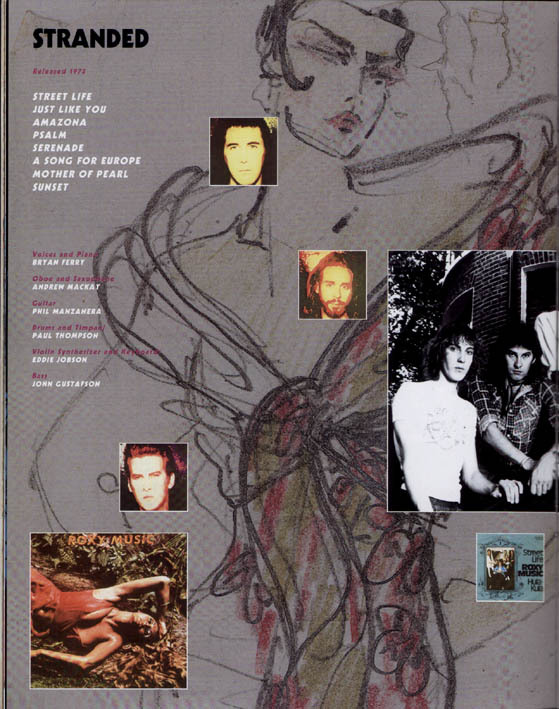 Sarah Brown took ill during the tour and was replaced by Vicky Akpewrene for the Japanese and some European dates. 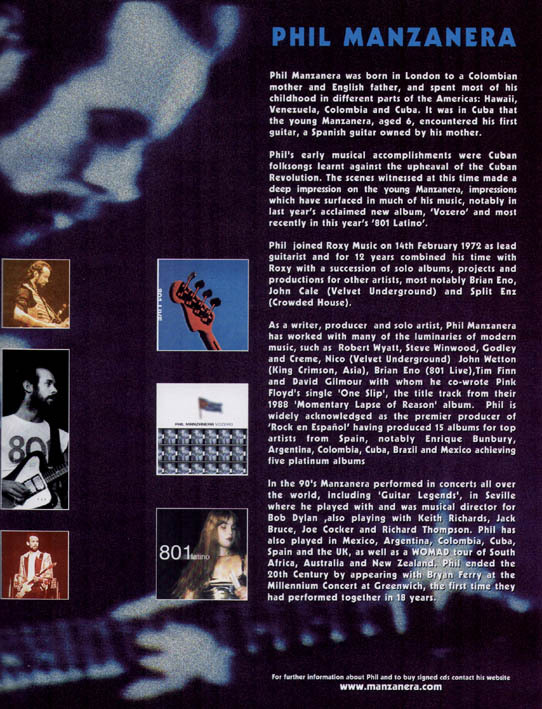 A poignant moment on the tour was when Bryan dedicated While My Heart Is Still Beating to "..all those who lost their lives in New York.." at the Antwerp show 3 days after the Twin Towers disaster in New York of 11th September 2001. 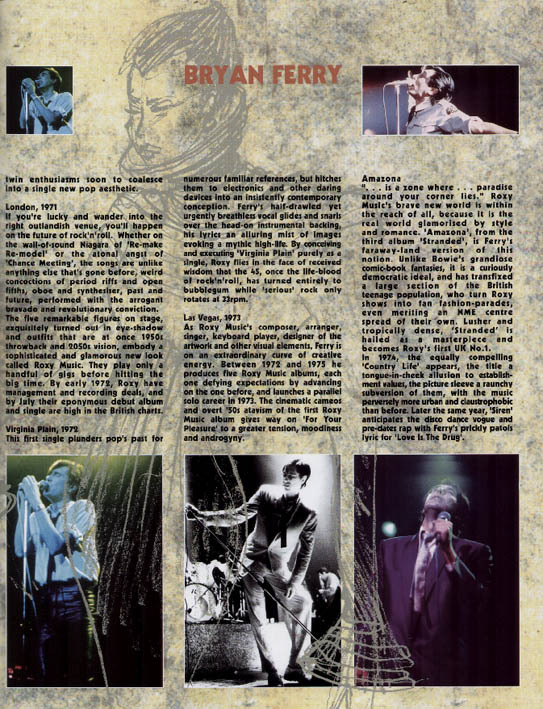 The final show at Hammersmith Odeon was recorded for an intended DVD and was released in UK in May 2002 and in USA September 2002. 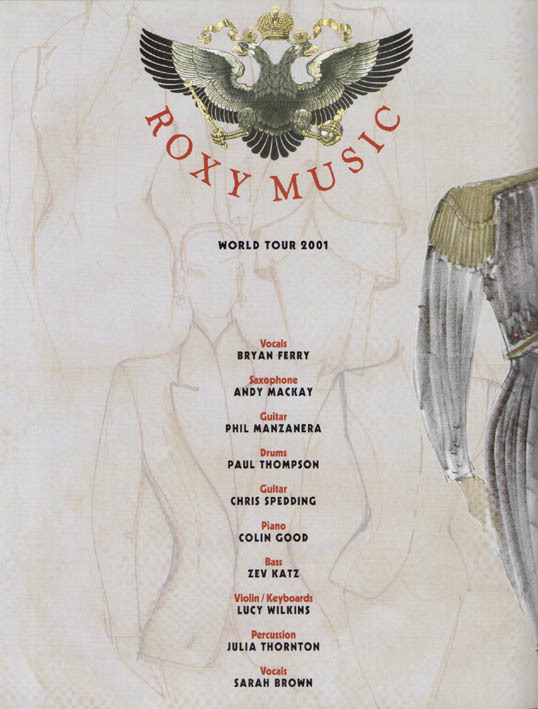 Their was no support act at the UK dates but Rufus Wainwright was the support in USA with Swedish band Emmy in support at some of the European dates. 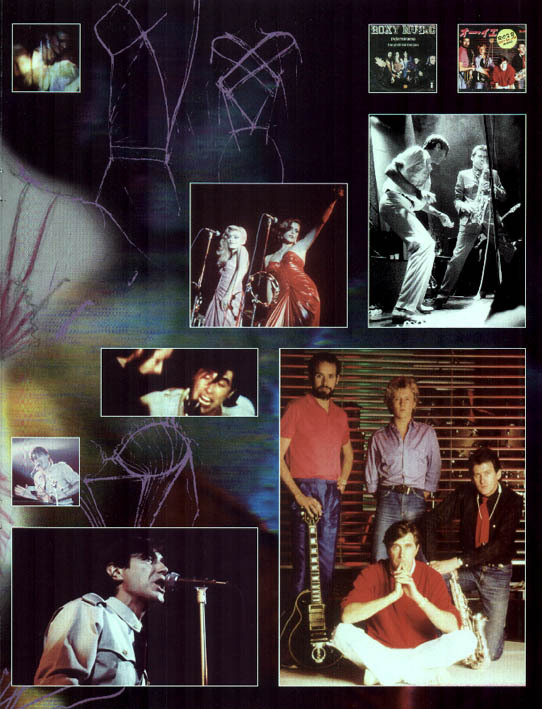 The first Glasgow show was recorded by BBC and was broadcast on Radio 2. 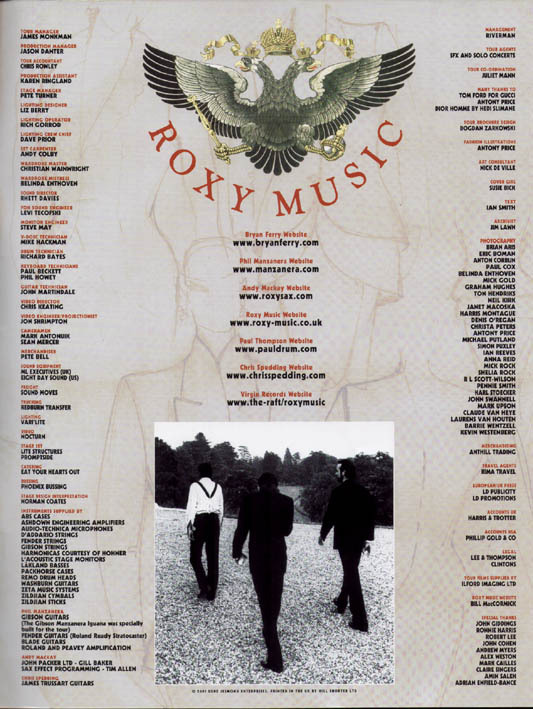 47 of the 51 dates have been recorded were used to compile a live double CD released by Eagle records in May 2003.